Quality, Health, Safety and respect for the Environment are an inseparable part of our way of thinking and to work. Our approach to these values is simple: we strive to get zero errors, provide excellent quality service to our customers, to incorporate continuous improvement in all our activities and ensure the welfare of people and the environment. 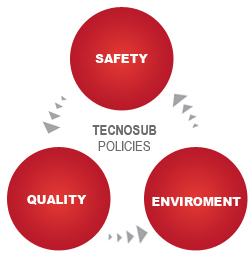 Our systems for Quality, Safety and Environment Management, provide mechanisms for achieving our policy, whose principles can be summarized in the following points. The final quality of service delivered to Customer is the result of planned and systematic actions of prevention, detection, correction and continuous improvement throughout the process cycle. The contractual, legal and regulatory requirements, joined to the desires and expectations of our customers, and the knowledge of their satisfaction level, are the main criteria for the quality standard of our services and the basis to improve our Company. Support Safety as a core business value of our activity, in order to eliminate unsafe acts and conditions. 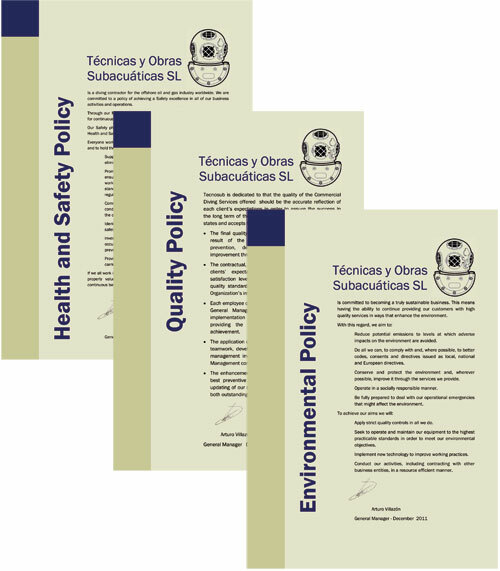 Promote a progressive Safety culture throughout our organization, ensuring that all our people, whether employed directly by us or working on our behalf, work responsibly to meet our Safety standards at the same time as complying with the applicable laws, regulations and good industry practices in each country of operation. Communicate to our people that anyone who observes an action or condition that is unsafe, has a right and duty to intervene and stop the operation, and this action will be supported by management. Identify hazards and assess risks so that we manage our operations safely. Investigate all events where injuries have occurred, or could have occurred, in any degree. Incorporate the acquired knowledge to prevent them recurring. Provide the resources and necessary training to ensure that work is carried out safely.